We’ve always loved dressing our dogs in bandanas and apparently we are not alone in our obsession. Over the last few years there has been an explosion of small businesses catering to this desire. Here we review a few of them. We are not affiliated nor sponsored by any of these companies. However, we do give extra information on the companies we have purchased from. Over time we hope to try out many more because like birds on your life list, you can never have too many bandanas. Mt. Oakley Threads – This Etsy shop is based out of Bentonville, Arkansas and handcrafts lovely bandanas using fun, often seasonal patterns. The company also offers collars and blankets. They have partnered with other local businesses so look for them to expand and offer even more. 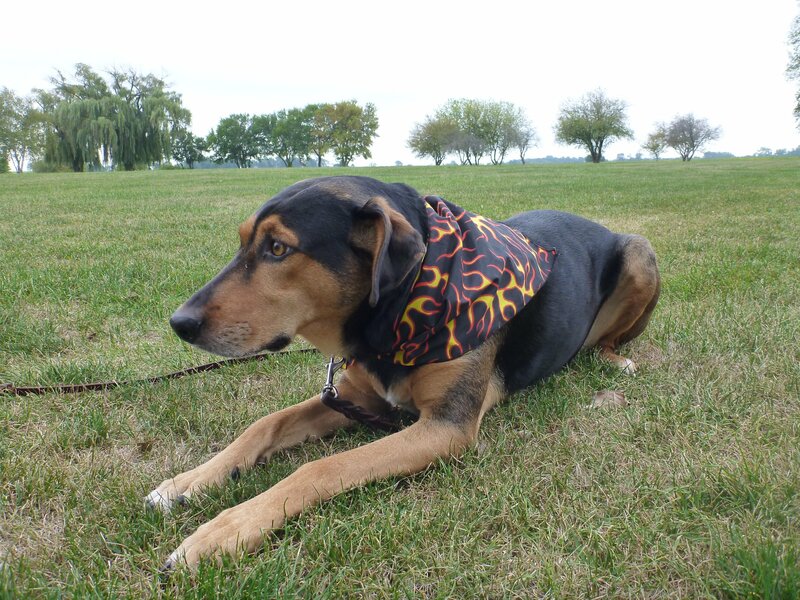 Canine Compassion Bandanas is based in Milwaukee, Wisconsin and features hand-made bandanas that are all $5 or less! Not only are they stylish and affordable, but for each one shipped the company donates $1.00 to the ASPCA. Companies that give back and care about the planet are exactly what we need. 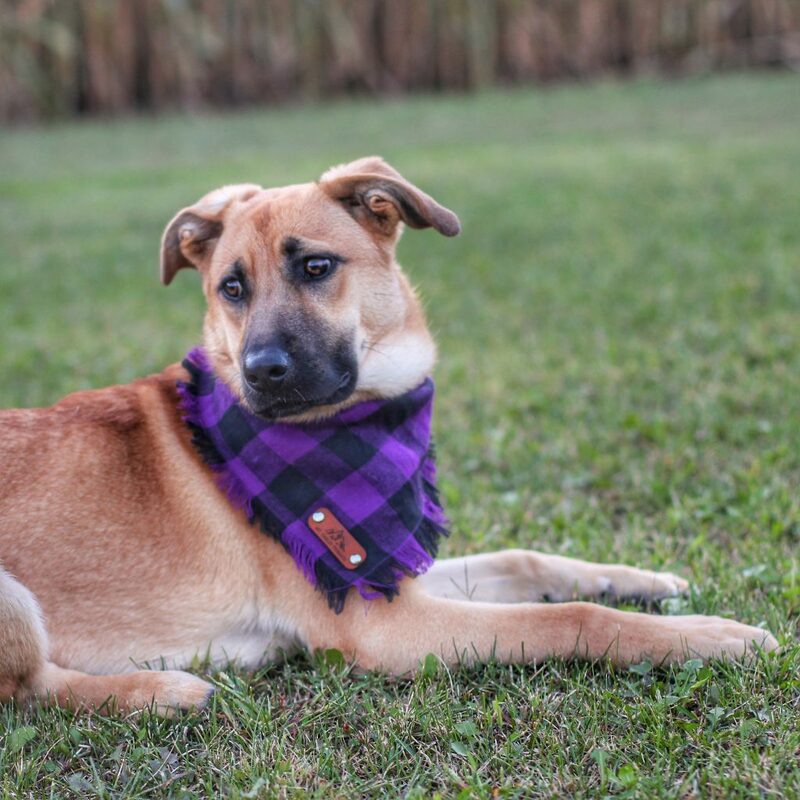 Hoot and Co is based in Denver, Colorado and sells a huge variety of bandanas as well as blankets, collars, leashes, camera straps, bags, and more. Their bandanas are high quality and include a wide range of beautiful patterns for any look you are seeking. They also have a rewards program where you can earn points to purchase more products! Native Instinct Co is based out of Colorado Springs, Colorado and features fine quality materials in their bandanas and blankets. Their adjustable bandanas have a carabiner that makes for a lovely fit. You can see and feel the quality and craftsmanship that go into each of these products. Many of the styles are hard to get and sell out quickly. Their website is a bit hard to navigate but the products are worth it! Banded Pines is located in Idaho and features supreme outdoor-rated materials for your dirtiest, wettest adventures. Their bandanas have beautiful, unique patterns and they have also expanded into high-end leashes and collars. Banded Pines is always innovating and we plan on trying their products in the near future. Kensie Arnold Designs is an Etsy shop from Sanford, North Carolina. This shop has a ton of designs and is always adding new ones. Woodland Wears Co is an Etsy shop located in Osseo, Michigan. Their bandanas feature unique designs and faux leather backing to create an amazing look.